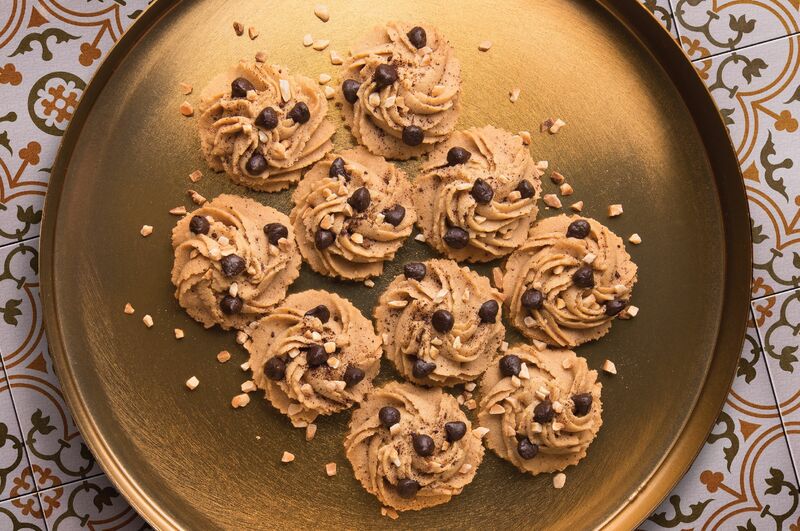 The Cappucino Semperit is a swirly coffee-flavoured cookie with crunchy almond nibs and chocolate chips that has an aroma that can attract coffee lovers a mile away. Photo and recipe is courtesy of SCS.. Beat butter and icing sugar until fluffy. Then add in vanilla essence and coffee paste. Next, add in flour, corn flour and ground almond. Mix well. Place a nozzle into piping bag and place the dough into the bag. Pipe into desired shape and garnish with almond nibs and chocolate chips. Bake at 160ºC for 18 minutes or until cooked.